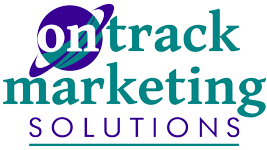 On Track Marketing appreciates your confidence in our work to refer other companies to our online marketing agency. We offer a finders fee for your referrals of up to 10% or $100 for each referral you send our way that does business with our Internet Marketing Experts in South West Florida. To get started, simply complete the referral form below. Thank you for your confidence in On Track Marketing Consultants to send us this referral. We will issue your finder's fee as soon as the Contract is signed.